Student will SILENTLY consider which of the following MIGHT be a CORRECT answer for the given mathematical expression. 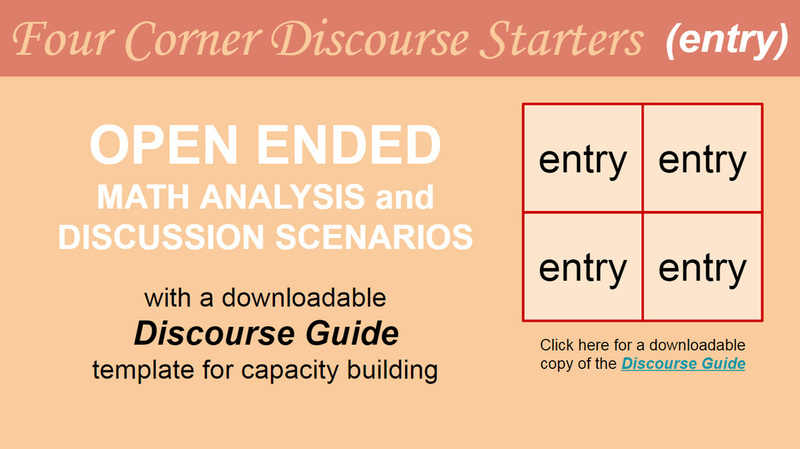 After which the Discourse Guide will be used to commit answer in writing, and then JUSTIFY the choice with quality rationale. Finally students will use table partner(s) to discuss these choices as they compare to one another WITHOUT changing any answers and close with a share out. 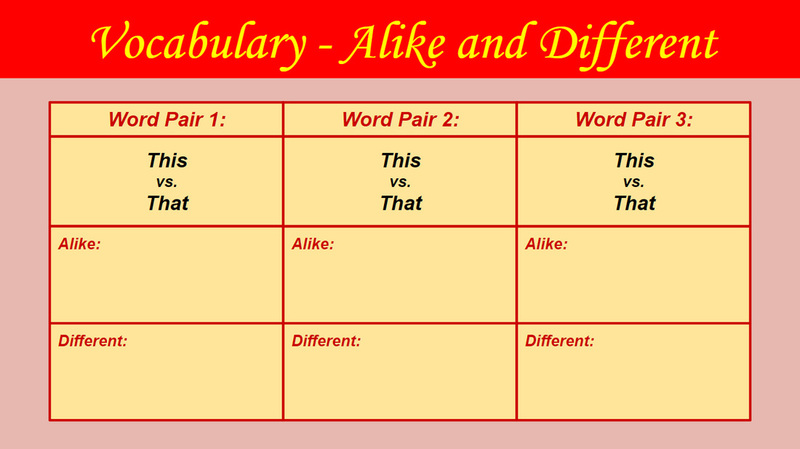 This activity gives students the opportunity to examine ways in which some selected vocabulary words are both ALIKE and DIFFERENT. 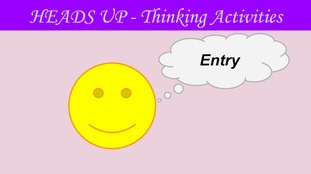 It is best utilized after students have had some exposure to the chosen vocabulary words to facilitate the analysis of key aspects of the words and make connections which deepen their understanding. Student should be provided time to discuss the words, the connections that exist among the words, and the reasons why students identifies those connections. Each box contains 4 words. One word does not belong with the other three. That word should be “BUMPED” to the next box (follow the arrow). Repeat this process by deciding which of the four words in the next box does NOT belong and “bump” it to the following box... 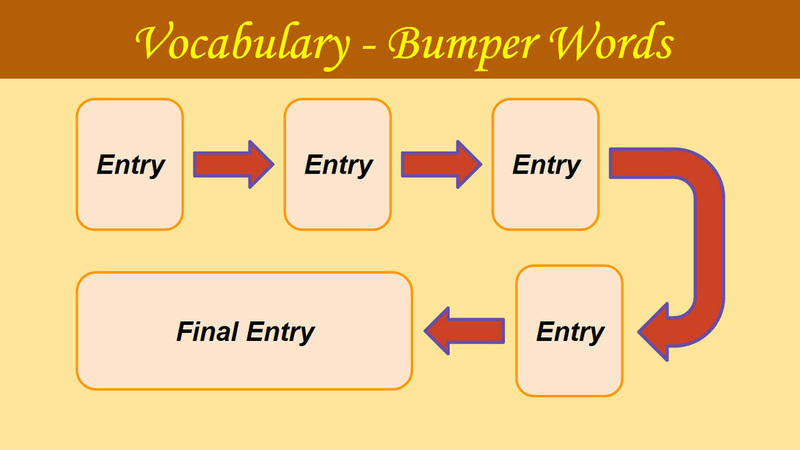 The last “bumped” word should be used to fill in the blank of the last box thus creating a COHERENT sentence. Group consensus can be used to approve the final answer as correct. 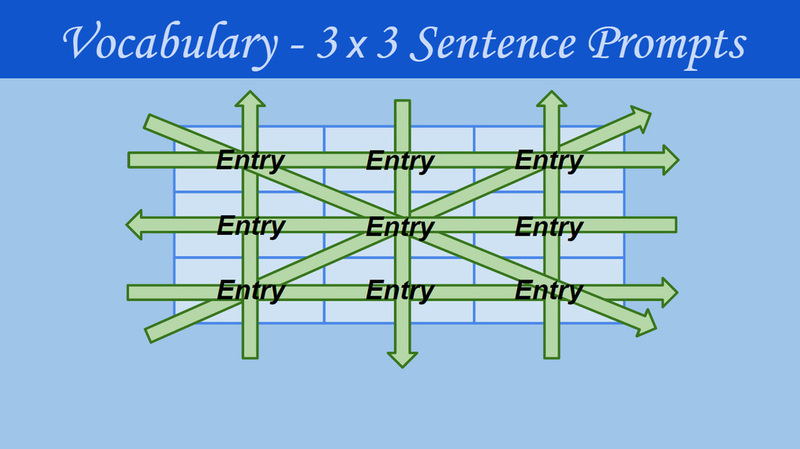 The idea of this activity is to have students CREATE coherent sentences using THREE words as they appear in the ROWS and/or COLUMNS. This should produce an outcome of SIX unique sentences per student for sharing out and discussion regarding appropriate usage and contextual understanding. 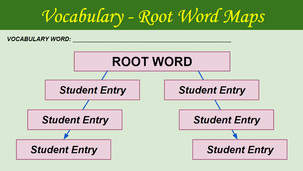 The ROOT WORD MAP is a graphic organizer that allows student to examine the different parts of a single vocabulary word. When using the Root Word Map, students place a vocabulary word at the top of the map and break apart the word into recognizable chunks to help them decipher its meaning. Students extend their word knowledge by writing words that are associated with the word parts to help them remember the definition. ​A Vocabulary "Flip Book"is not an animation tool, but rather it is a foldable method of organizing and defining key vocabulary terms. 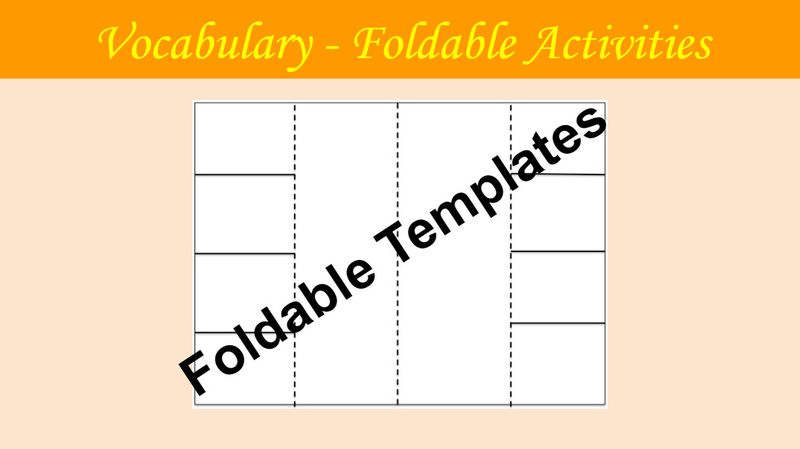 When using this vocabulary-development strategy, students write a word on the top of each flap. When the flaps are flipped up, students draw pictures, write definitions, or create symbols to remind them of the meanings of the works. This link provides a selection of various templates and printables. In using the Frayer Model (over 60 pre-made models to chose from), students will activate their prior knowledge of a topic, organize knowledge into categories, and apply their new knowledge to the compartmentalized structure. 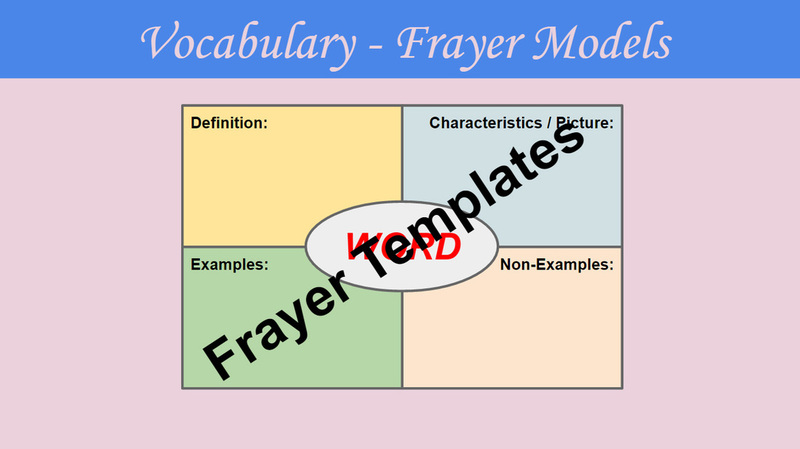 Once students have learned how to utilize the Frayer Model for understanding topics in depth, teachers can use the model as a form of assessment, beginning of lesson brainstorming activity, or exit (summary) activity.